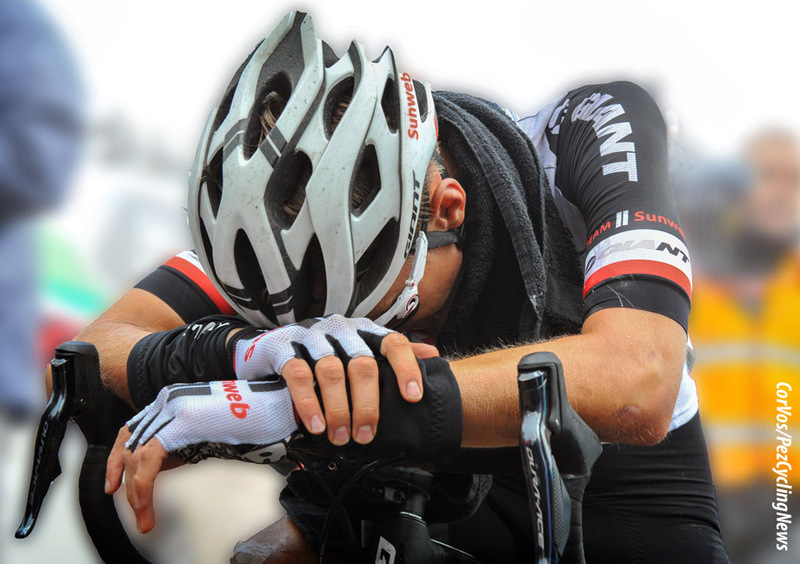 PezCycling News - What's Cool In Road Cycling : Does Fitness Improve Pain Tolerance? Does Fitness Improve Pain Tolerance? 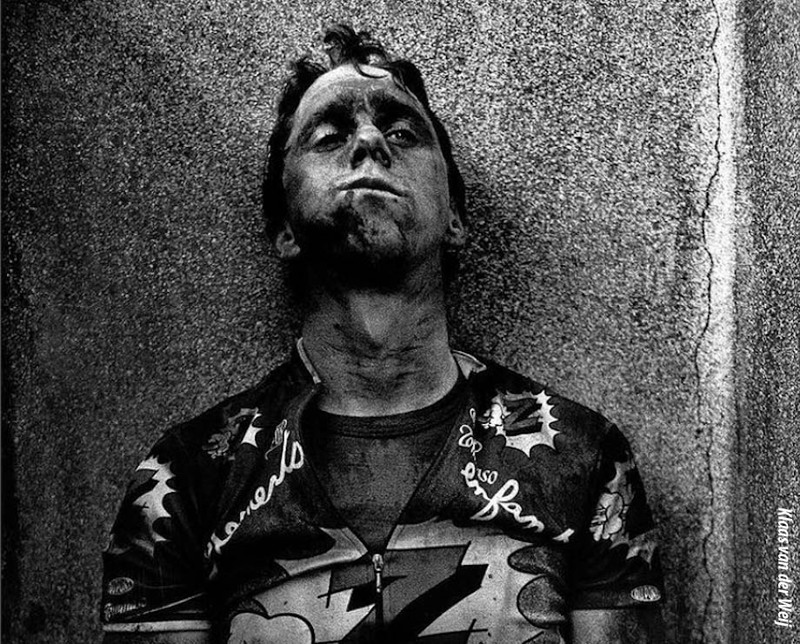 Toolbox: Cycle sport is intricately mythologized with the heroism and agony of suffering. We watch and marvel not just at the speed and power of the pros, but for the thrill (for us) and suffering (for them) inherent in racing over cobbles, high mountains rain, extreme heat, and even snow. Does being fitter also make you tougher? Does improved fitness actually alter pain tolerance? Back in 2005, I did a bit of a break and enter at high speed through the back of a hatchback which zipped out of the driveway without looking. The road to rehab was long but straightforward, despite a shattered scapula (8+ cracks) and a few broken ribs. At the time, many friends remarked how quickly I recovered, and claimed that it must have been my fitness. Thinking through the process, I felt it wasn’t anything to do with my physical state of fitness, but more that I was used to the distinction between pain as a dangerous signal versus discomfort from daily training. That is, I was willing to push myself in rehab right to the point of actual pain, as opposed to mistaking tiredness or discomfort as pain. Surprisingly, very little research, if any, has directly explored the relationship between aerobic training and pain perception. What we generally know from scientific studies is that acute exercise provides a hypoalgesic effect. That is, the endorphins you produce during exercise also reduces your pain perception in the short term. Chronic exercise also decreases pain sensitivity in patient populations suffering from chronic pain. However, the presence of persistent pain as a confounding factor in these studies means that we cannot directly translate such findings to otherwise healthy populations. •	24 total participants with no history of chronic pain or disease nor of depression. •	A nice touch that there was both a control group (no exercise training) and exercise group, each of 12 participants (11 females in exercise group and 10 females in control group). •	Exercise group performed 18 training sessions over 6 weeks, each consisting of 30 min cycling at 75% of heart rate reserve. Starting peak aerobic capacity was 36.3 mL/kg/min, so definitely on the “normal” to moderate fit range. •	Control group performed no systematic training during the 6 weeks, and were instructed not to alter their normal physical activity patterns. Starting peak aerobic capacity was 42.9 mL/kg/min, again within the normal to moderate range. •	Pain threshold was tested at 4 muscles sites: trapezius, biceps, rectus femoris (one of the quadriceps muscles), and tibialis anterior (one of the shin muscles). A blunt force-measuring probe was systematically applied at these sites, and the participants responded when the pressure turned into pain. •	Pain tolerance was measured by ischemia, the blockage of blood to a limb as might happen with a tourniquet. Basically, participants had a blood pressure cuff placed around their arm at 200 mmHg pressure, and had to perform periodic gripping exercise to the point of tolerance. A straightforward and solid experimental design overall. It was critical that they had a control group for this study, as the whole point is to compare training versus no training. The caveat is that you’re comparing two groups of individuals, so there’s some potential variability inherent between the two groups. •	Control group had no change in aerobic fitness (42.9 to 41.7 mL/kg/min pre and post). •	Exercise group had a significant ~15% increase in aerobic fitness (36.3 to 41.6 mL/kg/min pre and post), supported by higher peak workloads in both the post-test and during the final exercise training session. •	Ischemic pain tolerance was not altered in the control group (-3.7% tolerance time; 5/12 had improvement) but improved in the exercise group (+20.3%; 10/12 had improvement). Combining all 24 participants, there was a slight correlation between the overall change in aerobic fitness over the six weeks and changes in ischemic pain tolerance. •	No significant effect was observed in the pressure pain threshold in either group, in any of the four muscles tested, after the exercise or control period. As noted above, the overall experimental question was interesting and the design was sound. This study was nice in being the first to clearly demonstrate that chronic exercise attenuates pain perception and tolerance in otherwise healthy individuals. In turn, this definitely supports the general idea that fitness is not just a physical state, but also a psychological state in that it improves pain tolerance. Interestingly, the similarity in both groups for pain threshold response suggests that fitter individuals still recognize a noxious stimuli as painful, but that they are better able to tune it out and put up with it. This also supports the underlying theme that training isn’t just about improving your physical state, but also your psychological tolerance to discomfort or pain. The same general findings were also reported back in 2002 in my former lab in Toronto, where both moderately and highly fit individuals experienced similar levels of physiological strain during prolonged exercise in the heat. In that study, while the moderately fit group’s perceived strain closely matched their actual physiological strain, the fit group’s perceptual strain was much lower than their actual physiological strain. This study further adds to the whole renewed emphasis on the athlete as a holistic mind-body system. For example, the data suggest that psychological interventions focused on reducing or managing discomfort and pain can greatly benefit athletes in training and competition. So with the off-season upon us in the northern hemisphere, consider devoting time to improving not only your physical but your mental toughness. And as you plan for 2019, consider workouts that challenge you to push your mental limits too. Jones MD, J Booth, JL Taylor, BK Barry. Aerobic training increases pain tolerance in healthy individuals. Med Sci Sports Exerc 46:1640-1647, 2014. Tikuisis P, TM McLellan, G Selkirk. Perceptual versus physiological heat strain during exercise-heat stress. Med Sci Sports Exerc 34:1454-1461, 2002.